Clementine's was lucky to partner with a&bé for their amazing third anniversary bash in September. Our stylists were there braiding partygoers' hair into crowns and buns. Bridal models got ready for the big night at Clementine's beforehand with full hair and makeup styling. Below are a few photos of our braid bar and the bridal models. We want to thank a&bé for such a wonderful time! Congrats on successful years in business! Jocelyn Chardon will be doing free Becca Cosmetics makeup applications on Mondays, Fridays, and Sundays! She will be next to our green Becca counter to match your foundation shade, apply a little color to your cheeks, and fill in those brows! No appointment necessary, just swing on in when you're in the neighborhood or freshen up after your cut! LoHi is looking for Sundays, Mondays, and two evening shifts. Stanley is looking for Tuesdays through Saturdays. Please send your resume to info@clementinesdenver.com! We just wanted to say thank you for your patience as we adjust to our new booking system, which has left our online booking service down for over a week. As you may know, Clementine's is expanding with a second location in the Stanley Marketplace this year! We decided to upgrade our appointment booking system to accommodate multiple locations for a smooth booking service for you, but have experienced a few hiccups in the process. We will be providing regular updates here and our Facebook page! If there is anything you need help with, do not hesitate to call or email our front desk in the meantime! Battington Lashes are made of 100% handmade silk, providing the most natural looking lashes on the market and lasts longer than any other lash (up to 25 applications). If you want to add length and volume to your own lashes while still looking natural, silk lashes are a perfect fit. They are lightweight, hold their curl, last longer than mink and synthetic, and are animal cruelty-free. Battington donates 2% of each sale to the Global Fund for Women. Sirine Swed is the founder of Battington lashes. Swed struggled with finding long lasting comfortable lashes to wear throughout the day that can be reused. Sirine started researching alternatives to mink lashes and came upon silk lashes, loving how comfortable they are and the way they look. Swed worked as an executive in the pharmaceutical industry for over 15 years helping grow national brands. Swed and her husband live in Colorado with their son. Swing into Clementine's today to feel these lush lashes for yourself! Available in six different styles (pictured below), each set retails for $26. As featured in 5280 Magazine, we are donating $5 to Susan G. Komen Colorado for every Sara Happ product sold and $5 to The Breast Cancer Research Foundation for every Bumble and bumble Pret-a-powder sold to honor Breast Cancer Awareness month! Clementine's is looking for a creative, experienced stylist to join our Stanley team in Stapleton! If you are interested, email info@clementinesdenver.com or drop off your resume at our LoHi salon. We look forward to hearing from you! 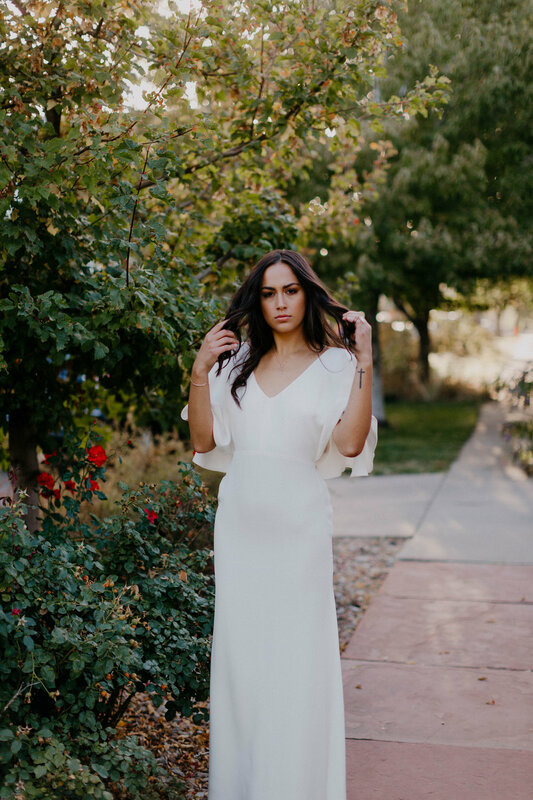 We are teaming up with a&bé Bridal Shop to celebrate their third anniversary on Thursday, September 29th from 6-9pm with one heck of a party! Come say hello at 5280 Dines! 5280 Magazine’s annual celebration of the October Best Restaurants issue benefits Tennyson Center for Children. This event celebrates the finest food and cocktail pairings including an opportunity to meet the chefs featured in the magazine. Click the image below for ticket information! Proper Products is certainly "grooming for the greater good". Early this year, Denver's own Proper Barbershop launched their own line of three simple, perfect pomades and clay. All Proper products have an intoxicating scent of whiskey, tobacco, and honey. ROUGH CLAY provides enough tact to hold your style into place all day. The clay has a natural, matte finish. We recommend applying in dry hair. SLICK POMADE is a light, pliable product that can be applied on wet and blow dried, or towel dried hair. We use it frequently on our pixie cut ladies! STRONG POMADE is the heavy lifter of the trio. It is an oil based pomade with a mild sheen, which creates a slick style for classic pompadours, side parts, and slick backs. Happy Monday! We are celebrating by saying out with the old and in with the new! We are marking down our current Sanitas stock to make way for their new product packaging! The new Sanitas will be unveiled in June; same formulations, just an updated, fresh look. Sanitas Skincare products are formulated, manufactured, and distributed from Boulder, Colorado. Sanitas was founded almost 20 years ago to care for the skin based on the knowledge that skin feels and looks its best with proper internal and external supplementation and nutrition. Sanitas is designed to help address common skin concerns and promote a healthy state. Use the promo code SANITAS20 for 20% off of all Sanitas products! Clementine's online shop is open for business! Use the promo code OPENSESAME for free shipping and 10% off of your first purchase! Our goal is to make your favorite Clementine's products and brands more available, as well as inspire you with photos, tips, and tutorials! We are going to kick things off with a recent photo shoot by Nicole Dina Photography. Our brilliant models are all wearing Becca Cosmetics. Links for the products used are below! Hair and makeup by Emily Weinkauf. First model must arrive at 8am, remaining six models must arrive at 10:30am on Wednesday, March 31st. Please comment below or call the salon at 720.328.3594 if you are interested!